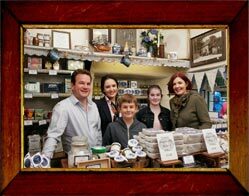 Andrew and Joanne Hunter are proud custodians of The Grasmere Gingerbread Shop – a traditionally-run small family business in the close-knit community of Grasmere in the Lake District. The couple and their loyal team working behind the scenes are dedicated to making and serving you fresh Grasmere Gingerbread throughout the year. Some staff members have celebrated 25 years of service whilst others are relatively newcomers. You can put a name to the person you met on your visit here – or who you spoke with on the telephone – by reading the staff biographies below. Click here to read about our fabulous baker boys Nigel and Steve and their special silver service celebration. Age and where from: Joanne is 50 years old, from Grasmere (born in Kendal) and now living in south Cumbria with husband Andrew (see below) and family. Role in business: She worked for many years in marketing, tourism and event management before moving into the family business and now jointly manages The Grasmere Gingerbread Shop with special responsibility for marketing, PR, retail, personnel and training. She initiated the website, mail order and online shop. About her: Joanne is the mother of three children; Yasmine 23, Eden Rose 18 and Eamont 15. Juggling work and family commitments keeps her on her toes but she enjoys the various demands and pressures that her dual role brings. In her spare time she loves cooking, visiting the cinema and catching up on Coronation Street. Most interesting happening at work: Working with TV companies and celebrities visiting The Grasmere Gingerbread Shop. How does she like to eat gingerbread: with freshly brewed coffee and slightly warmed in the oven. She particularly relishes the Ginger Iced Parfait. Age and where from: Andrew, 49, is originally from Sunderland but spent a lot of his working life in the Middle East. 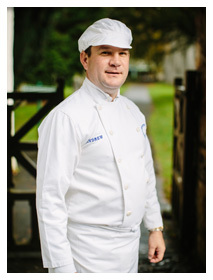 Role in business: Andrew is the original ‘Gingerbread Man’ and the sole mixer of all the secret ingredients that go into Grasmere Gingerbread. He manages the bakery and shop. About him: Before marrying Joanne, Andrew worked and lived in Qatar, Saudi Arabia, Abu Dhabi, Egypt and Dubai. 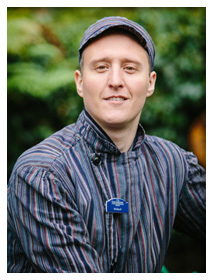 His working life in Grasmere is very different to what went before but he loves the business and meeting and greeting visitors from all over the world. His passions outside work are his wife, children, fast cars, good food, reading and golf. Most interesting happening at work: Every day brings new challenges! How does he like to eat gingerbread: Simply on its own. Age and where from: 30 something, originally from Derbyshire. Time in business: May 2012 and settled in very nicely! About Richard: Lived in Grasmere for 18 years with his now wife Joanna, little boy Samuel and little girl Sadie. Passion for food and enjoys spice so working here is perfect! Also loves music; listening and playing guitar and has a collection of them all with the name of “Betsy”! Says he fits in well with the bakery staff as they all drink whiskey and bourbon and he enjoys a wee dram – not while working we hope! Most interesting happening at work: Being filmed for several TV shows. How does he like to eat gingerbread: He likes lots of it with a massive brew! Age and where from: 42 from Windermere, originally from Lancashire. 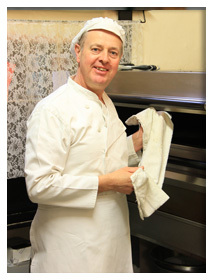 Role in business: Bakery Assistant, but you will see him in the shop too! Time in business: Since September 2015. About Steven: Interested in all things aviation – he use to fly helicopters in Canada! But here he fly’s’ radio controlled ones! He is also learning to play the Bluegrass Banjo – hope he can do some busking outside the shop. He loves the outdoors as is a keen walker and cyclist and cycles to work each day. Enjoys reading science fiction and fantasy novels and spending time with his two nephews. How does he fit in time to work? Most interesting happening at work: He has enjoyed having the TV crews in. How does he like to eat gingerbread: On its own with a cup of tea, and he does that quite a lot when he is here! Age and where from: 61, lives in Grasmere, born in Ambleside, but 3 generations of family from Grasmere. Role in business: Everything, except mixing and computer work! About Nigel: Likes walking Lake District fells with dogs. Gardening, Chelsea FC, Red wine and malt whisky – but not in the same glass! Doesn’t like long queues of traffic, chewing gum and cigarette ends on pavement outside shop when he has to clean it up! Most interesting happening at work: Filming with Jilly Goolden for BBC Food and Drink programme. How does he like to eat gingerbread: With a nice glass of malt whisky in front of a log fire on a cold winter’s night. Age and where from: 63, lives in Grasmere and has done for the last 27 years. Originally from Yorkshire and always a Yorkshire man! 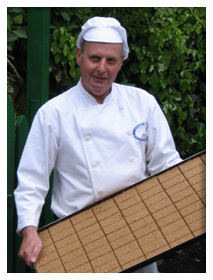 Role in business: Baker and Chief Rum Butter maker – Steve’s Rum Butter making won Gold in ‘The Great Taste Awards 2002’. About Steve: Steve is a true family man – a real man about home and enjoys DIY, when he is looking for solitude – loves fishing in the Lakes. Most interesting happening at work: Meeting Dave Hill from pop group ‘Slade’! How does he like to eat gingerbread: With a nice cup of tea! A true Yorkshire man! Age and where from: Age 45 years old but still feels 24. Born in Grasmere but moved as a toddler to live in Ambleside. She came back to Grasmere in 2005 with her family – she says it ‘felt like coming home’. Role in business: Sales Administrator: general office duties, and also deals with the wedding favour orders so sticks ribbons and bows to boxes and loves it! 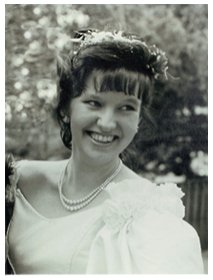 About Shirleyann: Shirleyann got married at the age of 18 and is now looking forward to her 25th wedding anniversary! She has 5 children; Poppy, Ebony-velvet, Izaak, Eliot and Seth. She also has a grandchild, Esmee who is 3 years old. She loves books, films, Kings of Leon, Kasabian, Pinot Grigio, making Sunday roasts for all her family and her new career! Most interesting happening at work: Its all new and its all exciting. Every day is different. How does she like to eat gingerbread: Anytime, anywhere. The smell reminds me of my childhood. Time in business: Started in autumn 2015, left after the floods but returned to shore in June 2016. 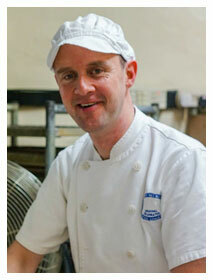 About Lee: Lee has always worked in catering and enjoys great food and drink. Loves football and supports Arsenal, he also likes to travel and is engaged to a Bulgarian so is leaning the language. Free time is not so free… music, skiing and snowboarding, watching action and horror films, playing snooker and pool, and for downtime – fishing. Most interesting happening at work: As a fan of award-winning ITV soap Emmerdale, Lee was starstruck when one of his favourite characters Dan Spencer – played by actor Liam Fox – strolled into the Grasmere Gingerbread Shop. ‘He was great, chatty, friendly and he bought two large packets of gingerbread to take home,’ said Lee. ‘I acknowledged him because I love Emmerdale and I have watched it for years.’ Liam actually played a policeman in the show before landing the part of Dan Spencer, and the actor has also appeared on the cobbles of Coronation Street. How does he like to eat gingerbread: ‘On its own making sure every piece is as fabulous as the last!’ Loves to dip it into chocolate too. Age and where from: 22 and a Geordie at heart as she was born in Newcastle and supports ‘The Toon’ but now lives in cool Kirkby Lonsdale. Role in business: She is the Marketing, Sales and Events Executive and co-ordinates adverts, handles photography requests for PR, plans and organises special events, host stands when not in the office and co-ordinates talks to the WI, University of the Third Age and assorted lunch clubs. If you see her glued to her smartphone it’s because she manages all the vitally important Grasmere Gingerbread® social media platforms and connects with customers across the globe. Time in business: Forever! As a baby and toddler her mother Joanne would have her on the stand at shows so we think all the ginger aroma she inhaled got into her blood! Yasmine began doing outside events from the age of 15 and in the summer holidays she worked in the shop serving customers and helping out behind-the-scenes. About Yasmine: Very family-orientated, passionate about photography and fell walking in the Lake District. Enjoys the odd afternoon of retail therapy (i.e. shopping), the odd evening of cocktails with friends (i.e. drinking) and being waited on at dining tables in lovely restaurants (i.e. eating). Possesses a hysterical laugh – someone once compared it to the noise made by a mildly irritated chimpanzee – and she loves meeting and greeting folks from here, there and everywhere. Most interesting happening at work: Meeting TV impressionist Rory Bremner who convinced her that her GCSE results were fabulous even though she was crying her eyes out at the time (drama queen!). 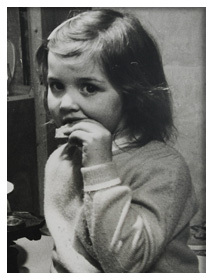 How does she like to eat gingerbread: Surreptitiously pinching the tasters from events – makes it even more exciting knowing she shouldn’t be eating them! About Emil: He has been living and loving the UK for the past 3 years and only returned home last year for his wedding. A big kid at heart, he loves theme parks and especially water-based ones. On the other hand he hates rain – the only thing he doesn’t love about England! He adores movies, any film with Al Pacino and believes that The Godfather Part II is the greatest film ever (but then he likes to think he’s an Al Pacino lookalike). How does he like to eat gingerbread: In the morning with coffee and in the evening with Pinot Noir (whilst watching Al Pacino movies). Age and where from: 32, originally from Slovakia but now living in Ambleside. Role in business: Shop Supervisor. Time in business: Could be classed as the ‘new girl’ having started in September 2017. About Miroslava: She is very lively and always full on energy which she needs for a full day behind the counter and walking her dog every evening. Miroslava loves great movies, books and, of course, food and drink – a trait she shares with everyone who works at the Grasmere Gingerbread Shop. In 2017 she married a native Cumbrian who is actually related to owners Joanne and Andrew Hunter. Welcome to the family! Most interesting happening at work: Every day is different and it’s always great fun meeting so many happy people from all over the world. Age and where from: 29, Beaumaris, Anglesey, North Wales. About Jess: Born and bred in Wales, she moved to Cambridge before settling in Whitehaven seven years ago. She is married with two lovely little boys and family days out are treasured times. In her occasional spare time she knits, embroiders, bakes and watches golf (although apart from pitch and putt with her children she does not actually play). Most interesting happening at work: Meeting Terry from the Great British Bake Off 2018. It’s her favourite television programme and he was her favourite contestant (perhaps because he makes great gingerbread inspired by his visits to the shop as a child). How does she like to eat gingerbread: With coffee and sharing slices with her boys. Age and where from: 29 from Prudhoe (so another Geordie on the team) but now lives in Dalton, Furness. About Hannah: A socialite in and out of work; loves being out and about with friends, enjoying afternoon tea, shopping and returning to the North-East to visit family. She keeps fit with aerial skills! Most interesting happening at work: Serving Prue Leith from the Great British Bake Off. How does she like to eat gingerbread: For breakfast (but we’re not sure whether that’s before she arrives at work or after she arrives…). Role in business: Mail Order Manager and using big words related to technology! 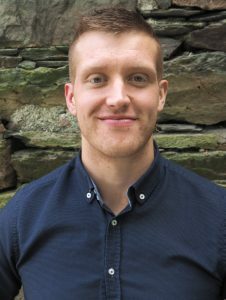 About Harrison: A proud Cumbrian with an avid interest in sports and fitness. Can most likely be found high in the fells or practicing new culinary methods when not at work. Most interesting happening at work: Meeting the hordes of loyal Gingerbread addicts at a local trade show in his first month with the company and receiving orders from all corners of the planet on a daily basis! How does he like to eat gingerbread: Sitting on a cairn on top of a local fell viewing the true God’s County (Cumbria) below. Interested in joining our team? Look out for staff vacancies over on our employment page.